Whatever your role, and whatever size or type of library, the principles outlined here can support anyone working to build a strong community of engaged, interested, and satisfied library users. 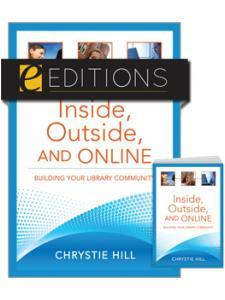 Chrystie Hill is a librarian, writer, and community builder. After a short stint at the Seattle Public Library, she started It Girl Consulting, a small venture that helps libraries use online tools to build communities online. In 2003 Chrystie joined WebJunction where she serves as their director of community services. Chrystie is a frequent presenter at library meetings and conferences, and her articles have appeared in JASIST, Library Journal, and RUSQ. 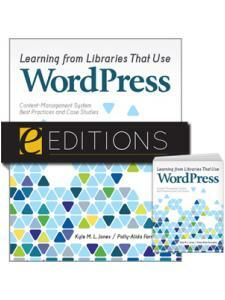 In 2007, Chrystie was nominated as a Library Journal "Mover and Shaker". Chrystie's undergraduate degree is in biology and psychology, she holds an M.A. from Sarah Lawrence College, and her MLIS is from the University of Washington, Seattle, where she lives with her desk and a laptop. 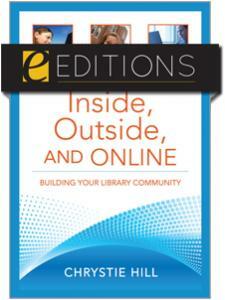 "With advice on identifying the needs and desires of the communities, attracting the community, and more, Inside Outside, and Online is of strong recommendation for any librarian who wants their library and their community to be successful." 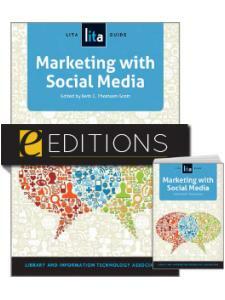 "A must have for any library wanting to reach out beyond their present users." "[Hill] adroitly draws on scholarship and research, examples and interviews, to create a plan for libraries that is as sharply focused as it is quietly urgent. By succeeding even more as community builders, libraries, Hill believes, can become sustainable—meaning that the public can't live without them. 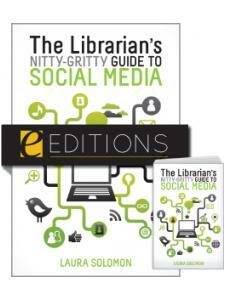 Public librarians would do well to use this book as a roadmap, at least for the next decade." "Since all community groups can have something to call their own in their library this book is for all types of libraries and comes highly recommended from this reviewer who does not plan on putting it on the book shelf anytime soon." "Gives a snapshot of where libraries are and how we can get them to where we want to be ... Hill's book provides practical information for directors, marketers, programming staff, and board members who want to revive their library."